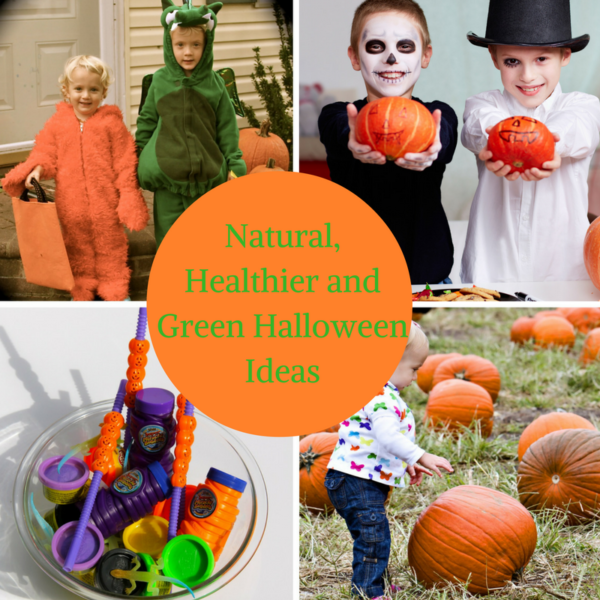 Natural, Healthier and Green Halloween Ideas! 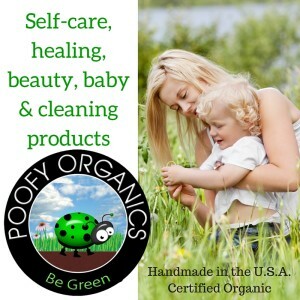 I have been told by a number of pediatricians that the beginning of November seems to be their busiest time in regards to children coming in with illnesses like the flu and colds. Is it any wonder? The kids were bombarded with sugar only days before! For every tablespoon of sugar consumed, their immune system is suppressed for up to SIX hours! This, combined with the flu inoculations being given out like candy themselves, can wreak havoc on anyone’s immune system. For this reason, along with others discussed here, it’s time to Green Halloween. Eating white sugar will paralyze and hinder your white blood cells from fighting off an infection. According to Dr. Jerry Lee Hover, “Eating 25 teaspoons of sugar will paralyze 92% of your white blood cells for approximately five hours. The average American eats over 42 teaspoons of sugar per day. For example: A banana split has 24 teaspoons of sugar. A 12 oz coke has approx. 8-10 teaspoons, a piece of white bread 2 teaspoons. It must be remembered that sugar or empty calories and junk foods interfere with the working of the body’s immune system.” So on any given day the average person is already taking in an obscene amount of sugar. Times that by the amount of Halloween candy consumed in one sitting and WHAM – here comes that cold! So, what to do? Should you not let your kids go trick or treating? I doubt many people will jump on board with that idea! Personally, I will let my children go out, but as we did with our kids last year, we will have them hand over the candy in exchange for a gift, something they have been really wanting. For older kids, you can offer to buy back their candy. Also, be sure to pump your kids with vitamin D and elderberry (this post contains affiliate links. Please see more info on this at the end of this post.) so that they are prepared for when they are around the other kids that are fighting off illness. 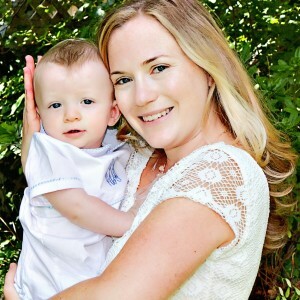 By treating their bodies with immune building nutrients instead of tricking them with immune suppressing sugars, dyes and chemicals, you are helping your children to remain strong and healthy. 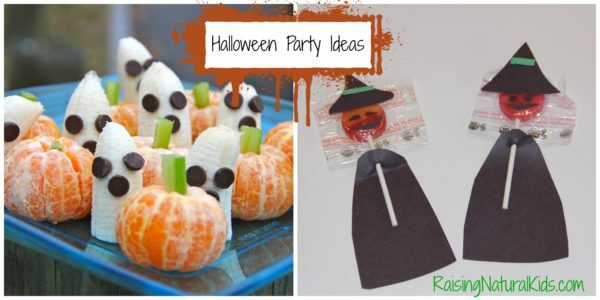 When it comes to handing out treats, there are some great alternatives to candy. Last year we gave little packages of stickers out to the younger kids. I was surprised to see that when some of the older kids saw the stickers mixed in with the candy that they chose the stickers instead, so I am going the sticker route in lieu of any candy this year. Mini packs of organic snacks, such as Annie’s Homegrown Cheddar Bunnies or Back to Nature Crispy Cheddar Crackers both of these have been sold in stores like Target and Stop and Shop. Oriental Trading Company has great prices on a wide range of toys that can be given instead of candy. 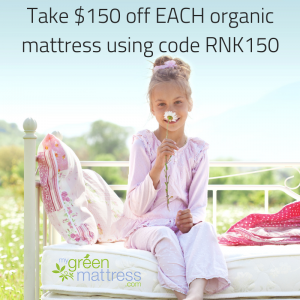 Yes, they are probably all made in China, something to be wary of, BUT it is an alternative to consuming junk, if that’s all you are looking to accomplish. 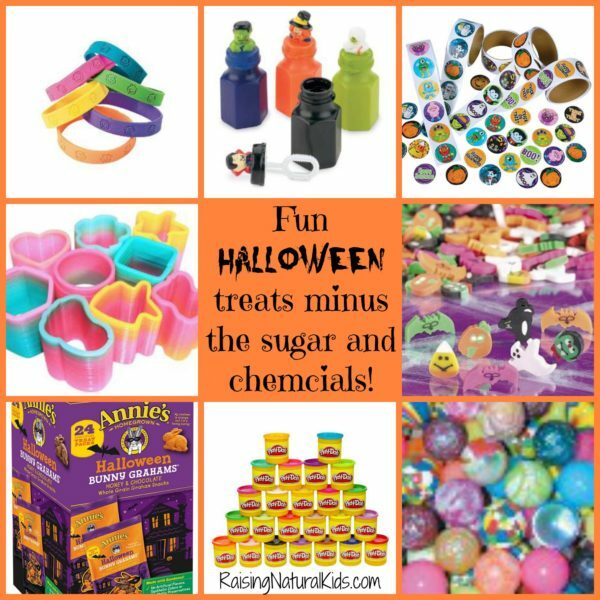 I have seen some great ideas in regards to limiting the non-organic sugar loaded candy while also keeping Halloween ‘green.’ Listed below are links to help you get some ideas. 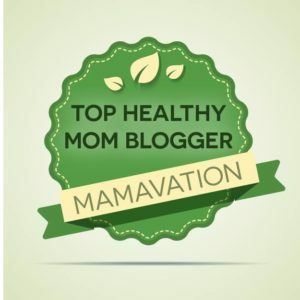 Feel free to share your tips in the comment area! Also, I will start a thread on the Raising Natural Kids Facebook page for you to share your green, sugar free or sugar “less” Halloween ideas! 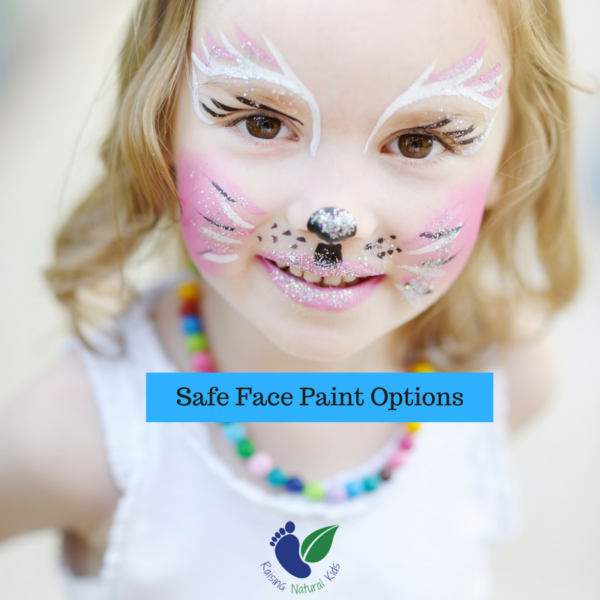 Mainstream face painting kits contain heavy metals, including lead and nickel, along with toxic chemicals. Fortunately, there are safe alternatives. 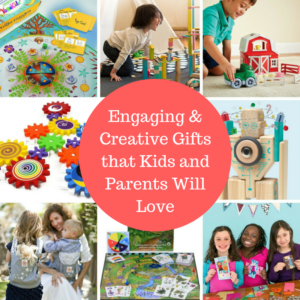 Instead of reinventing the wheel, here are some great links! These are just some things I have done in the past to make things a bit more festive. The mini pumpkin and ghost fruit treats are my version of the one that floats around the social media communities during this time of year, for which the origin seems to be unknown. The lollipops are my organic take on the ones I have seen in party favor catalogs. Super Healthy Kids has a great candy corn gone fruit option too! 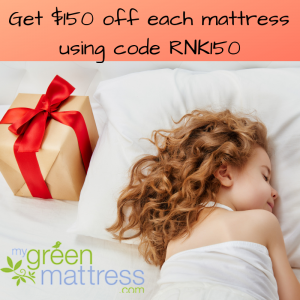 **Raising Natural Kids serves as an affiliate for Amazon, and links any products we use in our own homes and with our own families to Amazon when applicable. Any monies earned help us to run and maintain this blog.